Preheat the oven to 325 and lightly grease a 9 or 10 inch springform pan (mine is 10 inches). 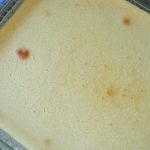 Combine the wafer crumbs and melted butter in a bowl and then press them evenly into the springform pan. Bake for 10 minutes and remove from the oven immediately. Using your electric mixer, beat together the cream cheese and sugar, scraping down the sides of the bowl as needed, then add in the flour and vanilla, mix well and finally the melted chocolate and mix well. With the mixer on low, add in the eggs one at a time mixing well in between and scraping down the sides of the bowl as you go. Scrape the filling into the prepared crust and bake for about 55 minutes until the filling is set. Allow it to cool completely. 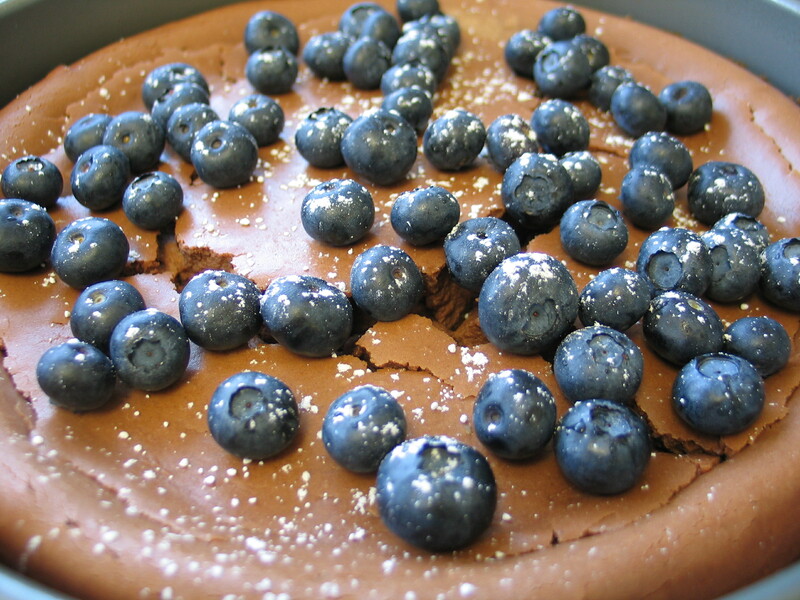 Refrigerate for at least 4 hours (I made this yesterday), and then decorate with berries and a bit of icing sugar.